Or the blog is moving, at least. I've never really liked the name Downright Domesticity-- a solid five minutes of brainstorming for a name translated into many years of slight embarrassment for my blog. And since it's been so long since the blog was active and most of my readers have undoubtedly left for bigger and much, much better blogs, this seems as good a time as any to abandon ship. Hopefully the five minutes I spent thinking up my new blog name works out better this time! You can catch all the new posts at Momonym. Hope to see you there! Happy one year to my beautiful daughter, Cecilia! Weight: an informal weight check shows around 22 pounds. Clothing size: we are well into the 18-month clothes. Gross motor: loves cruising, is thinking about walking. She can stand by herself and stand from a squat, and actually pivoted a couple steps the other day! Language: Can say "Dog" and "Dat" (cat). Says "Dad" (Granddad) when she sees my father. Lately, she has been HUGE on pointing at objects. Social: Loves waving bye-bye. She has repertoire of several different waves, and she go through every one of them when saying goodbye. Gives lots of big, sloppy, open-mouthed kisses. Tries to share her food with everyone. Favorite activities: Climbing up (but not down) stairs, looking at books, meeting new people at my parents' restaurant, hanging out with Grandma and her dogs and cats, dumping things out of their containers, sneaking away to play in the toilet, listening to music, watching the washing machine do a load. Favorite toys: Allen's Hot Wheels cars, our wooden dinosaur teether, the xylophone, measuring spoons, alphabet blocks (we stack 'em, she knocks 'em! ), a little wooden doll from a set I painted for the kids a couple years ago. Cici's birthday was on Saturday, but we had a lot of stuff going on that day, so we had a little party on Sunday evening. My parents came over, and we ate a sumptuous feast of abundant Totino's pizzas and salad. Oh yeah, we went all-out on this party, haha. Adam, our cake-baker-in-residence, made Cici a cute dog-shaped cake, as well as a small purple cake for the express purpose of getting smashed by the birthday girl. Oscar and Allen were kind of confused about the cakes at their first birthdays, but not Cici! She dug around and squished frosting through her fingers and generally destroyed the cake in a highly entertaining fashion. Definitely worth the price of admission! Usually Easter weekends are pretty low-key for us, but this year made up for the rest of them! First, Adam started a new job in town this week, so we were adjusting to that; my cousin and his wife celebrated their tenth anniversary on Saturday, and I helped run the party; and my parents had a big Easter Sunday brunch at their restaurant, and I helped with that, too! I also recently became the organist for a church in town, so this Easter I got to do the music. It was so fun! Easter has the best music of the ecclesiastical year. I got to the church early so I could be sure to play all the extra Easter music as preludes. Maybe next year, I'll actually get a picture with someone looking at the camera! This was the first Easter where Oscar actually got the concept of the Easter Bunny, and it was pretty magical for him. He might have been able to understand last year, but that Easter was kind of cancelled because Cici was in the hospital at the time. Funny how this holiday works-- Cici isn't turning one until this weekend, and yet this was her second Easter! I hesitate to call this our first year schooling, since it has been very informal; but since Oscar is kindergarten age, and I actually did throw a few textbooks in this fall, we'll go with that! Unschooling. I'm a huge believer in following the interests of the child, because I think people learn best when they are actually interested in the subject at hand, and it's complete drudgery for all parties involved when the child is not interested. I try to teach Oscar on his terms, not on my terms or a curriculum publisher's terms. So I introduce him to lots of ideas and concepts, run full steam with the ones that spark his interest, and back off the ones that don't stick until he's ready for them again. Montessori. The Montessori method emphasizes learning with all five senses, developing independence and concentration, and learning lots of practical life skills. I also love how works are presented on trays, as well as the excellent math manipulatives like the Bead Stair and the Pink Tower. Common Core. I haven't yet met a homeschooler that doesn't think Common Core wasn't an invention of Satan himself, so maybe I'm an anomaly here. I do have some serious concerns about how it is implemented and tested in the public schools, but I have no issue with the Common Core as a set of guidelines and a base for a shared body of knowledge among a country's schoolchildren. So I have been trying to touch on all the Common Core kindergarten subject material with Oscar as the year goes on. 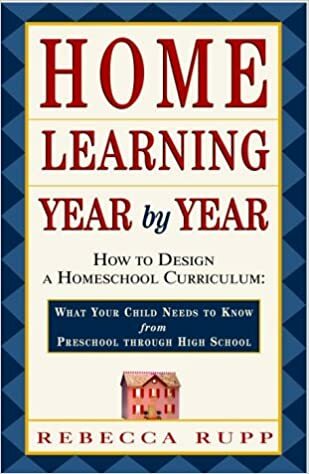 Home Learning, Year by Year by Rebecca Rupp. An excellent guide on ideas and subjects to cover for each year from preschool to twelfth grade. Organized by year, then subject, with lots of book/website recommendations for supplemental material. 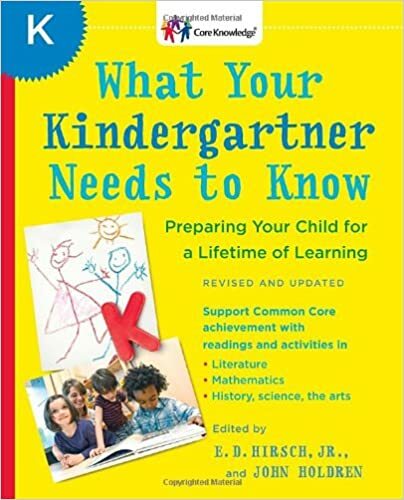 What Your Kindergartener Needs to Know, by Ed Hirsch, Jr. Covers all the Common Core subject material, much of it typed out in a story format if you'd rather just read straight from the book to your child. A huge portion of the book is dedicated to nursery rhymes and classic children's literature. I've been marking the different concepts with Post-It tabs and then removing them once we've introduced it. Modern Curriculum Press Phonics, Level A. 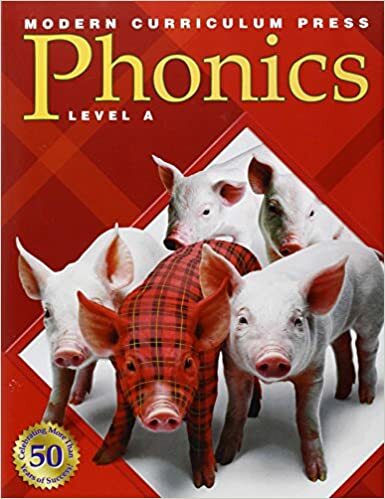 This is actually the phonics curriculum I used when I was growing up, and I looooooved it! Favorite subject ever. Unfortunately, Oscar doesn't seem to enjoy it quite as much as I did, so I've only been pulling it out when he hits a sensitive period for language, like he has this past month, and wants to learn how to read/write more effectively. Singapore Math, Book 1A. This one is actually more of a first-grade level because Oscar's always had a natural aptitude for numbers. Like phonics, this is a stop-and-start kind of book for us. When we were going through subtraction, Oscar was having a hard time grasping the concept, so we just put the book away for several weeks and tried to demonstrate subtraction through hands-on examples until he was comfortable enough to continue in the book. In spite of having a textbook, however, the bulk of his math education has actually come in the form of dinner conversation, because Oscar really loves to talk about math at mealtimes for some reason. Adam and I also do a lot of reading aloud to the kids, which needs its own blog post, so I'll talk about that another time. So in an nutshell, that's what we've been doing so far, and I've been pleasantly surprised with how it's been working out this year. We still have a few months till the typical school year-end, although since we've kept everything quite informal so far, I can't see us actually having an ending to the school year. I'm predicting that we'll just keep up the learning continuum through the summer, but we'll see! I am one excited mama. A few weeks ago, Oscar suddenly got very interested in spelling out his own C-V-C words. He wanted to go to our dry erase board and write list after list of rhyming words with me. He has been able to figure out how to spell things phonetically for probably around a year now, but it was laborious and leaned more towards encoding than decoding. A few weeks ago, however, something clicked and he could sound out/spell words very quickly. 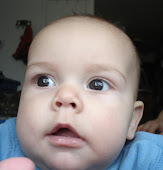 Then Adam introduced him to the words "The" and "is", and suddenly, he was all about making his own sentences. It has been so exciting watching his reading ability bloom like a rose! It's been a lot of fun guiding him along. I would say my educational style leans heavily towards Montessori and unschooling, so I have been very light-handed with formal education so far. Instead, I concentrate on reading LOTS of books with the kids, providing a rich learning environment, following their interests, and trying to introduce new concepts into our everyday conversation. I haven't been pushing Oscar to read, so it's really neat to watch him hit a sensitive period as far as reading goes and let him run with it. As soon as I recognized he had hit a sensitive period, I made a bunch of magnetic words for the fridge so Oscar could make his own sentences. His current favorite movie is Ponyo, so I included a "Ponyo" tile. He thinks it's hilarious to put it in sentences. Pro-tip: don't use Crayola markers because any contact with water will make the words melt away! We borrowed the first couple sets of BOB books from the library, and are working our way through the series. 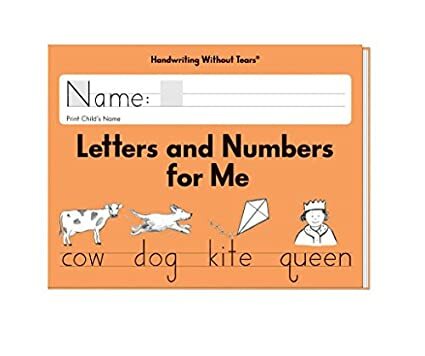 They are extremely basic mini-stories that beginner readers can read all by themselves, which is great for getting kids to identify themselves as readers. I asked him the other day, "Oscar, do you like BOB books?" "I love Bob books," he replied. One morning last week, Oscar got up and immediately sat down with paper and markers. I thought he was drawing mazes (another obsession of his at the moment), but he was actually writing his first essay! A whole pageful of a story about Great Sleeping Bear. There was tons of misspellings, and not a single space between words, but he's writing! I'd take a picture, but I should have published this post a week ago already, so I'm going to wrap this up here. We've got a new set of BOB books to work on. Cecilia Marietta (we call her Cici for short) was born this past April. We have had Cecilia picked out as our girl's name for a very long time- before we were even married, I think- so we didn't have to scramble for several days after she was born for a name, like we did with Allen! Music has always been a big part of our lives, so having a namesake for Saint Cecilia, the patron saint of music, seemed appropriate. Marietta is an old, old family name on my side that goes back to at least the 1880's. My great-aunt Marietta passed away a few years ago, sadly, so it was time for someone new to carry the name! What she likes to do these days: get into Oscar's building creations, hang out with Grandma, and ingest every little delicious particle she can find on the floor. Cici also has quite the vocabulary! She is ridiculously fun, and we are so glad she's here with us (most of us, anyways. Allen still has deep reservations about this whole new baby business). Clearing out the cobwebs! Hello, is anybody there? 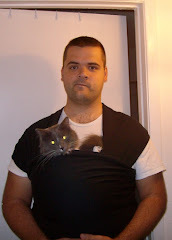 Whoa, it has been a LONG, long time since I have updated the blog. Holy moley. I think I lost my chutzpah in early 2013, one of the darkest times in my life, when we were unemployed, malnourished, and a couple months out from moving in with family several states away. I stopped writing because there wasn't really anything about my life that I wanted to write about anymore. You would never be able to tell what was going on from reading the blog posts from 2013, but that is social media for you. Speaking of social media, the reason I'm back is because I have been off of facebook since January of last year. I am really loving it, but the main thing I miss about it is that I'm not documenting the family life, or putting up pictures of my angelic children for posterity anymore. 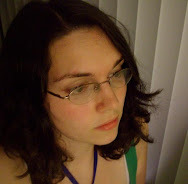 So I thought maybe I'd dust off the ol' blog and get back to archiving my life! I'm not sure if anyone is even reading this anymore, so this is for future me. Well, I can't think of much else to add right now, so here's a picture of a Valentine letter I embroidered for a customer this week, probably one of my favorite M's to date.